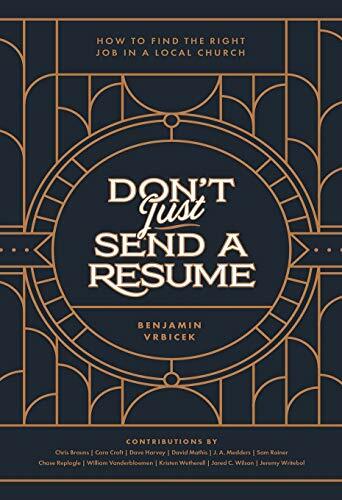 Note: I wrote this for Benjamin Vrbicek’s new book Don’t Just Send A Resume: How to Find the Right Job in a Local Church. As I sat across the table from the lead pastor of a hiring church, I expected him to articulate how much he was looking forward to having me on the team and how dynamic my leadership would be at their church. In many ways, the interview process and expediency of it was building an expectation within my mind that I would be offered the job. Why else would they run this fast through the process with me? Surely they had found their guy. But it was with half a bite of burger in my mouth that the undesired and fatal verdict was spoken. “Jeremy, you’re a nice guy, but honestly you are a huge risk for what we need on our leadership team right now. I don’t think you’d be a good fit here. We’re going to have to say no, but thank you for walking with us through this process.” The burger felt like lead in my stomach at that point. I had been told “no,” and the search process for my dream job was over. First, I must believe the gospel. It’s tempting to let our identities get wrapped up in our vocations. We can build our hearts on the approval of others. Not being offered a position we sought after can chip away at our self-built identities and affirmations. This is why we need to deeply remember the gospel. The gospel reminds us that our identity and value aren’t built on what we do or the titles we possess. Christ is our hope—not the dream job we’ve pursued. 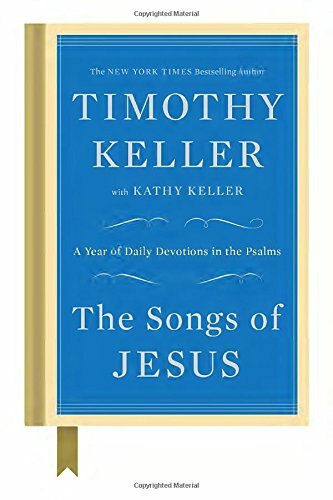 We are no less sons and daughters of God through faith in Christ because we were not hired and heard a Divine “no.” As the hymn writer Edward Mote taught us to sing, “My hope is built on nothing less than Jesus’ blood and righteousness.” Believe that good news! Minister right where you are. Instead, the man was instructed to stay at home and tell his community how God had been merciful to him. In the midst of receiving a “no,” he was redirected to labor for the gospel right where he’d always been (see Mark 5:18–20). Hearing a “no” from one church doesn’t mean we should quit the ministry. Rather, it helps us to be active and faithful right where God has us currently. 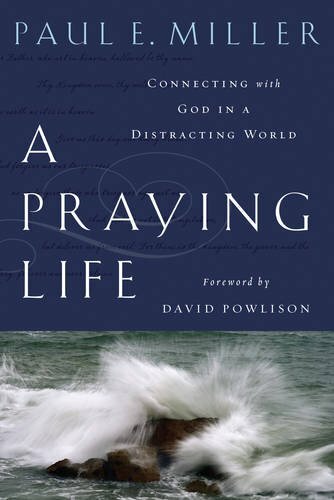 In the divine providence of God, the work he has placed right in front of us is more pressing than the dreams of greener pastures and more influential platforms of ministry that we might have been longing to be commissioned into. Hearing a “no” should refocus us on the task at hand. The most challenging thing about hearing a “no” is trying to figure out why we were not offered a desired position. Our motivations can feel pure and our goals right in wanting to glorify God and use our gifts for the building of the kingdom, but when we hear a “no” we are often frustrated that God isn’t apparently on the same page with us. If we believe that God orders our steps (Ps 139:16) and that he has prepared good works ahead of time for us to do (Eph 2:10), then we can rest confident that a “no” is ultimately for our good and for his glory. If our heavenly Father only gives good gifts, then we can trust his gracious hand to send us exactly where he sees fit to glorify himself and advance his gospel. The goodness of God has not abandoned us. Looking for a ministry position is one of the most difficult vocational actions, but it is superintended by a loving God for our good. The “nos” are hard to hear, but it is these hard providences that cause us to look all the more for his glad smile. The capitol of Michigan that is. Last week I was invited to give the invocation at the opening of the House of Representatives session for the day. I was profoundly honored to be there among our state government officials and to see firsthand the work they are doing. I was also encouraged, at least in Michigan, to discover so many faithful Christian representatives in our government. The district representative for Plymouth happens to be a pastor as well. Here are a few takeaways that I have from my day in Lansing. Representatives are ordinary people. Many of them have full-time jobs outside of their legislative work. They have families, hobbies, and ordinary lives. I think we far too often vilify elected officials as being out of touch. Representatives work hard. Really hard. Between committees, session meetings, meeting with their constituents, and a myriad of other things, they work hard. We should pray all the more for our elected officials, at every level. The responsibility they carry, the constant criticism they face, the uncertainty of the next election cycle, all of it carries immense burdens. Most are trying to do what is best and good for their constituents, even if others don’t see it the same way. I was encouraged by my time at the state capitol and encourage you, wherever you are to be more involved in your state-level government, pray for your representatives, and seek the good of your city. In it we may find our own good (Jeremiah 29:7). I’m not sure that those three things have any particular correlation to one another, except to say that this present sickness has made me watch and do things that my normally healthy self would avoid. I watched the NFL Pro Bowl. I will admit that I was in and out of a conscious state on Sunday afternoon mainly out of pure exhaustion from preaching two services and having either the flu or the cold. I can’t say for sure because the CDC continues to alter the definitions of what is a cold and what is the flu. I have both. Or neither one. I don’t know. Anyway as I lay in a semi-comatose state on my couch on Sunday the only thing that sounded remotely therapeutic was the sound of helmet-on-helmet collisions and the soothing monochrome voice of Sean McDonough. Even though it was absolutely the most boring and worthless game of the whole season I allowed it to venture into my psyche as I drifted in and out of sleep. In some way that is what preaching on Sunday morning was for me. I crawled in sick because I loved the passage I was to preach so much, and the topic of the glory of Christ was one that I would literally have to be dead not to try and communicate. I remember my introduction — the clever email I found about the Nigerian astronaut that was still stuck on a Soviet space-station after 28 years and all that was needed was my assistance in the form of a bank account to transfer the 15 million dollars to safely get him home. I remember pointing out our need to see the real Christ, not some cultured counterfeit, and I remember very little else. I did this twice. I don’t know if it was a good sermon. I suspect that it was a slow roller up the third base line. Good enough. Serviceable. Not great. I don’t know if it helped anyone, or if I should put away some pride next time I’m sick and make the call to the bullpen and let a healthier, better-rested man bring the power of the gospel to bear on the church. What I do know, and cherish, is after the first service a kind and humble gentleman came up to pray for me. That meant all the world. I don’t remember much else. I don’t need to. I may not endeavor to preach feeling that poorly ever again. But to proclaim Christ was worth it. And if I ever do, perhaps it’ll be on Pro Bowl Sunday and a drug-induced coma will quickly take me away after the church services to soft touch hits and the sons of Brees fighting on the sidelines. As the New Year comes into reality, there can be a sense of concern about the year ahead. What will the next 365 days hold for us? Will they be profitable? Will they be well spent? Will they hold joy and happiness, or despair and difficulty? Add to that concern a layer of shame that takes form in our hearts when we consider the missed opportunities, lack of progress, or downright failures we experienced in the year prior. I didn’t lose the weight I said I would, nor did I complete reading the Bible in its entirety. I didn’t pray. I didn’t give as much as wanted to. I didn’t defeat that habitual sin that has plagued my character. Read my entire article over at Gospel-Centered Discipleship. 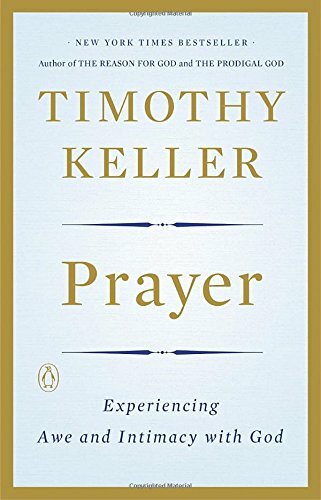 Tonight on Woodside Plymouth's online prayer event (embeded above) I mentioned some specific books to help you grow in your understanding and application of prayer. I have listed them here in one place to help you find them. 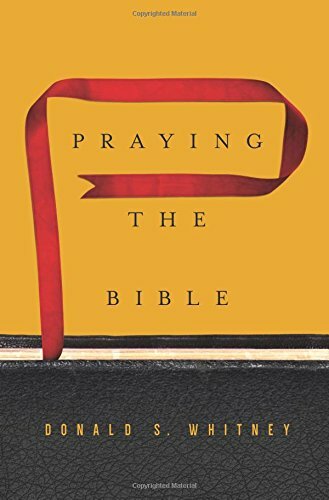 I've separated them into two categories, "Books on Prayer" and "Praying Scripture." 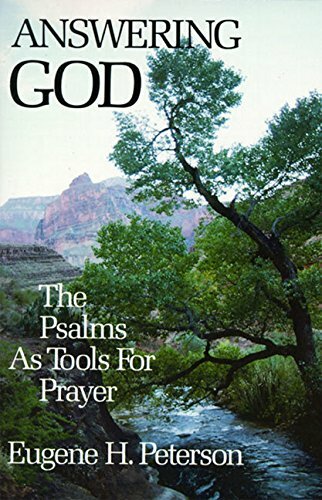 I have found each of these books instrumental in my own walk and growth in "answering God" and aligning better with him in prayer. 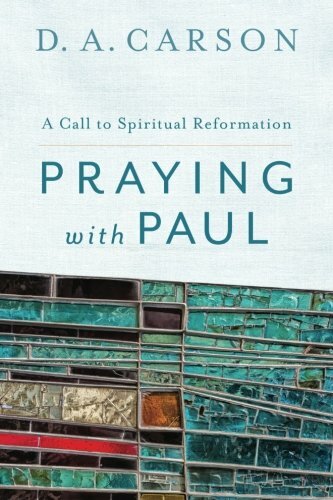 Also be sure to check out the #PrayFirst Journal that Woodside produced to help you begin this year growing in prayer.